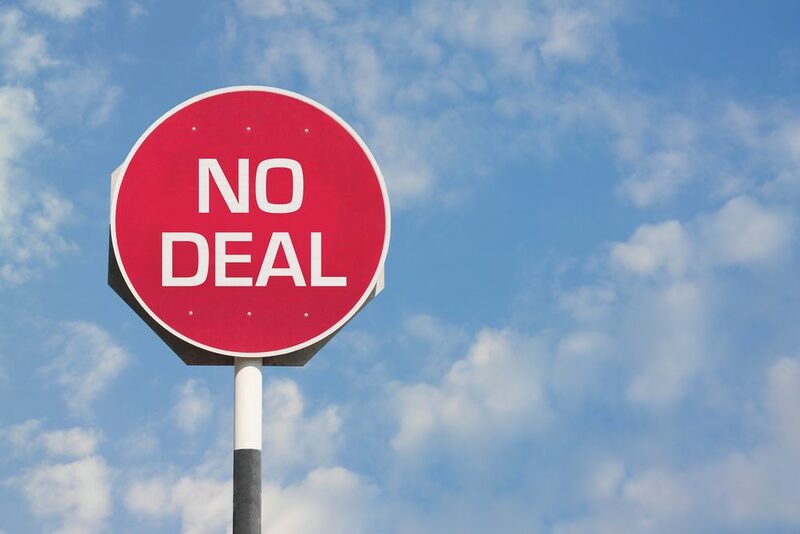 Will ministers be able to block no deal? With next week’s Brexit motion edging closer, MPs from across the Commons are tabling amendments to the proposals. The one that is attracting the most attention concerns speculation that up to 40 members of the government will resign if Conservative MPs are banned from voting for a plan to block no deal. The work and pensions secretary, Amber Rudd, has demanded that all Tories are allowed a free vote and Theresa May will come under increasing pressure to permit it and prevent mutiny. However, government sources have said they would be ‘very surprised’ if the prime minister allows a free vote. This line of thought is worrying and only becomes more so when we consider that the EU has confirmed that a no-deal Brexit would mean a hard Irish border. Jean-Claude Juncker’s chief spokesman said that it was ‘pretty obvious’ that if no deal was agreed, a border infrastructure would be necessary. He said that the likely enforcement of border checks could not be avoided. The Brexit secretary, Stephen Barclay, warned MPs that extending article 50 was an ‘oversimplification’ and that there was no guarantee that the EU would agree to it. Speaking on BBC Radio 4’s Today programme, Barclay said “From the EU point of view, they have been very clear that they don’t want an extension with no purpose and so we come back to the issue as to what it is MPs are for and just what they are against.” The comments came following an amendment tabled by Yvette Cooper that could force ministers to seek an extension of article 50 if there was no deal. On the economic data front, there was some positive news in the UK, as average earnings figures showed that wages grew at their fastest rate in a decade in the three months to November. Excluding bonuses and adjusting for inflation, there was a real terms pay increase of 1.1%. Unemployment also unexpectedly fell to just 4% in the same period, which is the lowest level since the 1970s. Following the release, sterling nudged above $1.29 and made some gains against the euro too. Our forecasts are available for you to download and include some useful information. The disparities between the predicted highs and lows show the levels of volatility that are expected over the next few months, and are a clear indication of how nobody is sure what is going to happen with the UK’s withdrawal from the EU. Grab hold of your free copy today and do let us know your thoughts. Figures released yesterday showed that average earnings, including bonuses, increased by 3.4% in the three months to November 2018. It is the fastest rate since the three months to July 2008 and was better than the 3.3% the markets had been expecting. Excluding bonuses, the figure was still healthy at 3.3% and when adjusted for inflation, equates to a real terms pay increase of 1.1%. The release sent the pound above the $1.29 level and it pushed higher against the euro too. UK employment figures were positive too, with the number of people in work increasing by 141,000 in the three months to November. This was much better than the 85,000 increase economists had predicted and the unemployment rate surprisingly dipped to 4% from 4.1% in the previous period. Public sector net borrowing figures showed that the UK’s budget deficit widened to £2.11 billion in December 2018 from £1.81 billion in the same month a year before. Excluding state-controlled banks, the deficit went up to £2.98 billion from £2.67 billion the year before, with the lowest December net borrowing since December 2000. Today we have the Confederation of British Industry’s business optimism index for the first quarter of 2019 and industrial trends orders for January. The Bank of England’s deputy governor, Dr Ben Broadbent, is also scheduled to deliver a speech this morning and it will be interesting to see if he has anything to say about the Brexit negotiations. The eurozone will be thankful for small mercies at the moment, with a raft of data showing its economy is struggling at present. Yesterday, the German ZEW economic sentiment index unexpectedly rose by 2.5 points in January to hit -15.0 – much better than the -18.4 the markets had expected. However, it is possible that the reading has much to do with potentially negative factors, such as a no-deal Brexit and weak growth in China, already being anticipated. It would be remiss to ignore the fact that the reading is still firmly in negative territory and is well below the long-term average of 22.4 points. The situation was worse in the eurozone as a whole, as although the ZEW figure nudged up to -20.9 this month from -21 the previous month, it was still below expectations of -20.1. 33.5% of the analysts surveyed expected the economic situation to get worse in the coming six months which is far from encouraging. Of course, this can quickly change, especially if the UK can agree the best route forward for Brexit and the US and China reach a deal to end the trade war. Today is relatively quiet, although we will see the flash consumer confidence reading for January. The figure is expected to worsen to -6.5 from -6.2 the previous month. How different things are in the eurozone from this time last year. It does help show that nothing can be banked on and chickens should never be counted until they have hatched.